Xiaomi Mi 5 And Mi 5 Plus Review . 1 Xiaomi Mi 5 And Mi 5 Plus Review . 1.1 Xiaomi Mi 5 Review . 1.1.1 Xiaomi Mi 5 Pro Review . Xiaomi Recently launhced its most awaited Xiaomi Mi 5 and Mi 5 pro in a event held at Beijing . The Mi 5 and mi 5 plus is the first flagship from Xiaomi in 2016 . The device became so popular before its official launch that the internet was full of rumors about the device . Xiaomi Mi 5 and Xiaomi mi 5 pro are one of the first devices in the smartphone market having a snapdragon 820 processor , recently the Letv launched LeEco Le max with Snapdragon 820 processor and now mi 5 and mi 5 plus are the second devices which feature the powerful Snapdragon 820 processor . Xiaomi mi 5 is the successor of the most popular Mi 4 Flagship device . 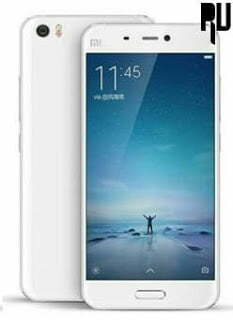 The xiaomi mi 4 was a 5 inch device having a full high definition display with a pixel density of 441 pixels per inch . in the hardware section there was a 2.5ghz snapdragon 801 processor . Xiaomi mi 4 was one of the first device in india having 3Gb ram . Okay now without wasting much time lets start the review of Xiaomi mi 5 and mi 5 plus . Xiaomi Mi 5 Review . Okay so starting with the Review of the Xiaomi Mi 5 . 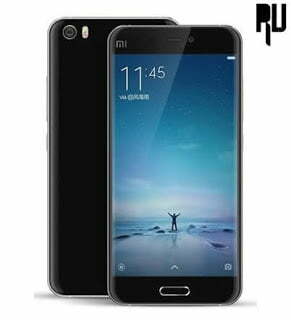 Xiaomi mi 5 comes with a 5.2 inch Full high definition display having a 2K resolution ( 1440X2560 ) . we wont be wrong if we say that the xiaomi Mi 5 is one of those smartphones in the market that comes with the finest display . Coming to the Pixel density so the Xiaomi mi 5 comes with a pixel density of 416 pixels per inch . Protection of display is yet not confirmed . Xiaomi is famous for giving Good quality camera in its every segment smartphone , i have used The Xaiomi redmi note and the Xiaomi redmi note 3 and the camera of both devices impressed me with its detailed images even in low light . Xiaomi mi 5 comes with a combination of 8 mp + 16 Mega pixel camera . face / Smile detection . The rear camera of xiaomi mi 5 supports video recording a 2160p 30fps . With such specifications the rear camera of xiaomi mi 5 is supposed to give good imaging and video Capture quality . Coming to the front camera , The xiaomi Mi 5 comes with a 6 mega pixel front camera . It is the first time that xiaomi is providing a 6 mega pixel camera unit at the front end . usually xiaomi give 5 mega pixel camera but this time xiaomi have launched xiaomi mi 5 with a 6 mp front camera . The front camera can capture HD images and videos . Xiaomi mi 5 comes with a Qualcomm Snapdragon 820 processor . Snapdragon 820 is one of the most advanced and powerful operating system ever made for a smartphone . Xaiomi mi 5 is the Third device to be powered by the Snapdragon 820 processor . The first device was LeEco Lemax followed by Samsung galaxy s7 launched on 22 Feb .
Coming to the ram , The xiaomi mi 5 comes with 3 Gb ram of ram , Again xiaomi mi 5 is one of the first devices to feature 3Gb of ram . with Snapdragon 820 and 3Gb of ram xiaomi mi 5 is surely the most powerful device present till date . For gaming and better graphics there is a Aderno 530 GPU installed on Xiaomi mi 5 which delivers awesome graphics while playing games and also enhances the video quality of mi 5 . Xiaomi mi 5 comes with a non removable 3000 Mah battery . Xiaomi has launhced 3 versions of the xiaomi mi 5 ou of which basic one comes with a 32 Gb , Standard comes with a 64 gb and the Pro Comes with 128 Gb . The basic version of Xiaomi mi 5 is priced at 306$ . There is a fingerprint scanner at the back of the Xiaomi mi 5 . Fast battery charging ( Upto 60% In just 30 Minutes ) . Xiaomi Mi 5 Pro Review . This is the first time from xiaomi when they have launhced a Plus version of Any device . The Xiaomi mi 5 pro is basically same like the Mi 5 . The only difference both devices will carry is the ram and In built memory . Lets have a quick review of the mi 5 Plus . The Xiaomi mi 5 pro comes with a 5.2 inch Full High Definition display with a pixel density of 416 pixels per inch . The Xiaomi mi 5 pro comes with a Snapdragon 820 processor coupled with 4 gb of ram . there is also a 530 Aderno Gpu for better gaming . The Xiaomi mi 5 pro comes with 16 mega pixel rear + 5 mega pixel front camera . The xiaomi mi 5 pro comes with a 3000 mah battery that is comparatively bigger to Xiaomi mi 5. The Biggest thing of the Xiaomi mi 5 pro is the massive in built memory , The Xiaomi Mi 5 pro comes with a 128 Gb in built memory . However you can expand it . The Xiaomi Mi 5 pro is priced at just 413$ . The Xiaomi mi 5 and mi 5 pro are undoubtedly the best flagship devices we have seen so far . The best part about xiaomi mi 5 and the mi 5 pro we have seen is its Affordable price tag . with such low price tag and affordable features the mi 5 and mi 5 pro will be the biggest competitors of the newly launched Samsung galaxy s7 . So this was our guide on The Xiaomi Mi 5 And Xiaomi Mi 5 Pro Review .